We made it through Thanksgiving, only to sprint through the next four weeks. December is packed with holiday parties where we put on our “everything’s awesome” face, work parties where we balance “letting our hair down” with professionalism and more family that we see all year. Shopping, gifts, charity work, extra scheduling, juggling, more shopping, more family, more fake smiles. Just thinking about it is enough to drive us crazy. Even though we swear this year will be different, December always seems to overwhelm us. I worry about how to fit everything in. I feel like it’s handled, then three more invitations come in. I feel good saying “no” to something, but it’s short lived and gives way to feeling guilty and ashamed that other people can fit it in and wondering why I can’t. Part of me wants to be the quintessential hostess, complete with gluten free apple crisp that I quickly whipped up. The other part of me wants to go to bed for a week and watch Bravo. 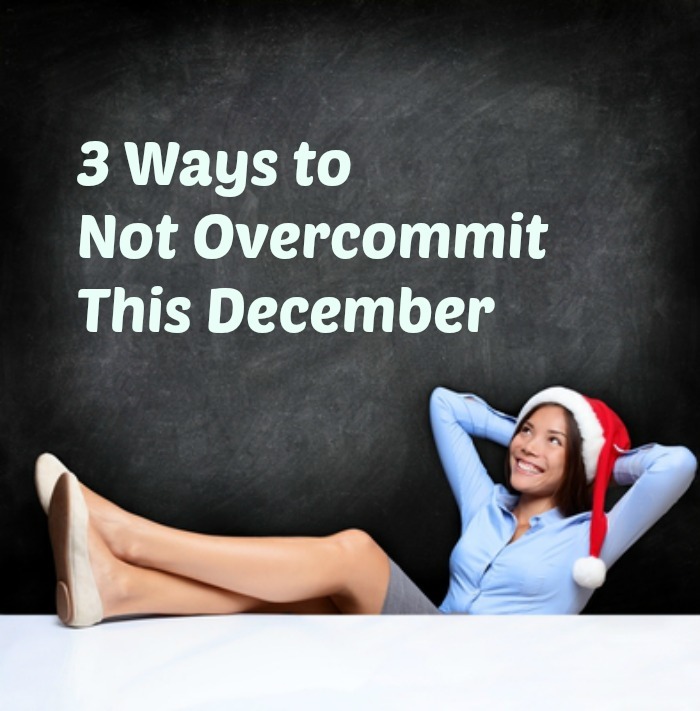 Here are 3 ways to not overcommit this December. December puts us in “get stuff done” mode (which feels like second nature). The temptation is to say “I’ll just do it,” because we know we’ll get it done faster and better. Congratulations – we now have extra responsibilities on our plate. When it comes to family, work, parties, and charities – how many times do you say, “I’ll just do it”? It may seem small at the time – it may take you five minutes. But those five minutes add up. Part of staying in your lane is not taking on other people’s responsibilities. Even if they won’t do it right, even if it will take you five minutes. Walk away and let them do it. Does your stomach knot up when you think about something you’ve already committed to? Are you forcing yourself to do something because “We said we would be there, so we have to do it,” or because “As adults sometimes we have to do things we don’t want to do”? I’m calling you out on that right now. It’s so easy to commit on the front end, only to overwhelm ourselves and feel like untrustworthy, flaky jerks if we don’t follow through. So we force ourselves to ignore our gut feeling that we should sit that one out, and we spend precious energy to grit our teeth and honor our commitments. I’ve got an easier idea. Look at your commitments and find the ones you’re making yourself do. Where are you already planning to “drive by” instead of spend quality time? Ask yourself why you’re even using the energy to go – and notice what your answer is. This is not about swearing – I’m a big supporter of bad words. This is about watching what you say to yourself. We can get caught up in all these things we have to do. -We have to go to the meeting. -We have to get (fill in the blank) for the party. -We have to get this done before (deadline). Here’s the thing – we don’t have to do anything. Try this switch – every time you hear yourself say you “have to” do something, say you “choose to” to it instead. Because when it comes down to it, no one is making you do anything. You may find that it’s easier to choose not to do some things once you realize you don’t have to do them. “We said we would be there so we’re choosing to do it,” sounds much easier to do – or get out of – doesn’t it? Are there ways to blow through these three fixes and overcommit anyway? Sure. That’s why I’m talking more in depth about how not to overcommit this Thursday evening. 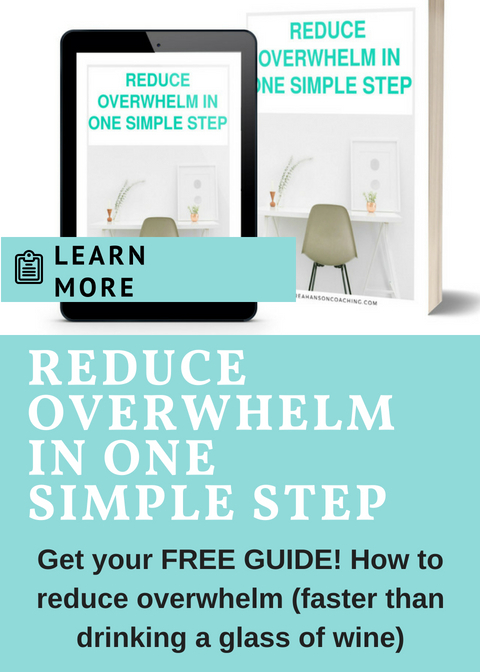 -Go into even more detail about how to not overcommit. 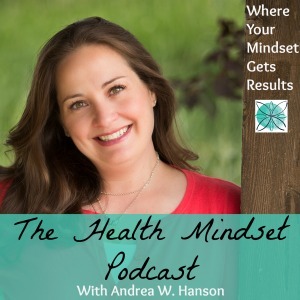 -Talk about how to not sabotage yourself into doing more. -Tell you the one thing you should never do if you want to keep your sanity this December. If the December rush started early for you, don’t worry. Sign up for the class and I’ll deliver the recording to you inbox so you don’t miss out. People go nuts in December. It’s a fact of life. Sign up here to join me this for the live call and learn how not to overcommit this December.